Sarah Palin Reports Damaged Home After Major Quake - Joe.My.God. Sarah Palin and her family are safe following two intense earthquakes in Alaska, however, as she tweeted Friday, her residence is not. The U.S. Geological Survey recorded a 7.0 magnitude quake near Anchorage, Alaska, at 9:30 a.m. Friday. 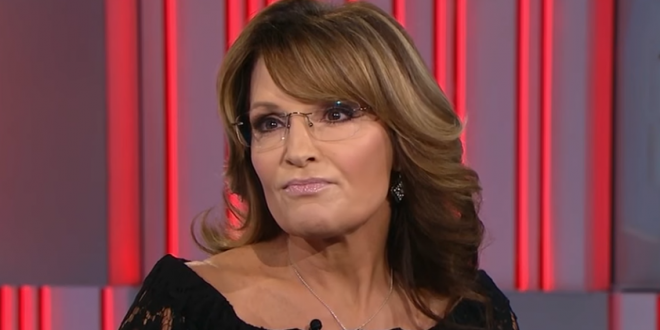 Palin, a former Alaska governor and Republican vice presidential nominee, and her husband live in Wasilla, Alaska, about 45 miles north of Anchorage. Palin, born in Idaho, as lived in Wasilla since 1972 and was on the town’s city council and later served as mayor from 1996 to 2002.